Last week’s elections to the Welsh Assembly saw the UK Independence Party winning seats in the Senedd for the very first time, although Welsh Labour remained the largest party by a comfortable margin despite losing a seat to Plaid Cymru. Among the 7 UK AMs elected was disgraced former Conservative MP Neil Hamilton who featured in this Guardian headline just 20 years ago. Following this “Cash for Questions” scandal, he lost his seat in the 1997 General Election, at which point he left politics and joined UKIP. Not content with merely winning a seat in the Assembly elections, Mr Hamilton then ousted former leader Nathan Gill of UKIP Wales and is now running the show. It’s been a bizarre turn of events. There’s clearly no end to his ambition (nor any beginning to his integrity). Questions may be asked about a person such as Neil Hamilton could have been voted into power, but it’s not year clear how much it will cost to ask them. All I can say is I hope they keep a close eye on the cutlery in the Senedd canteen. 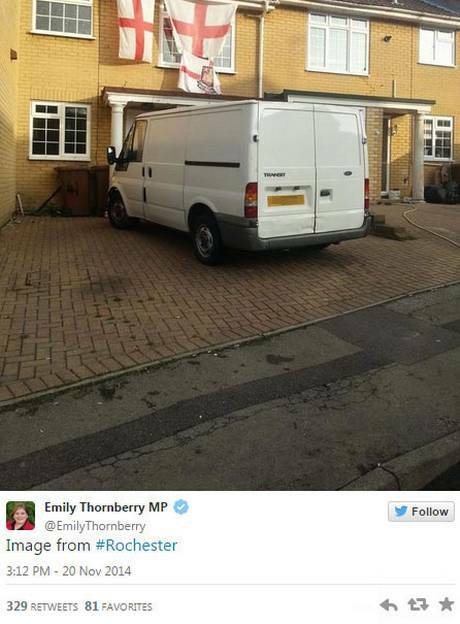 No reasonable person could possibly take offence at that tweet from Emily Thornberry, yet she has had to resignfrom the Shadow Cabinet because of it. It is beyond belief how pathetic British politics and the British media have become.